Juche is the ideology of the North Korean regime, which calls for independence in politics, as well as self-sustenance in the economy and military defense. A Chinese travel agency is to run the Juche Study Tour from Feb. 28 to March 13, Radio Free Asia reported on Wednesday. The Young Pioneer Tours travel agency is offering three different tour options: a six- night, seven-day Juche Study Tour; a six-night, seven-day Korean Language Tour, both priced at 1,295 euros ($1,773); or a 13-night, 14-day Juche and Korean Language Tour (2,310 euros). Young Pioneer Tours representative Gareth Johnson told RFA that North Korea had initiated the idea of the Juche Study Tour. A North Korean government-appointed expert on Juche will lecture on the Juche philosophy and its history. He added that two students, one from New Zealand and one from Switzerland, have already signed up for the tour. The week-long travel package offers four lectures on Juche and a Korean language introductory course along with visits to tourist attractions. It says visiting Pyongyang’s No.1 nightclub, called “Diplo”, is also included in the schedule. 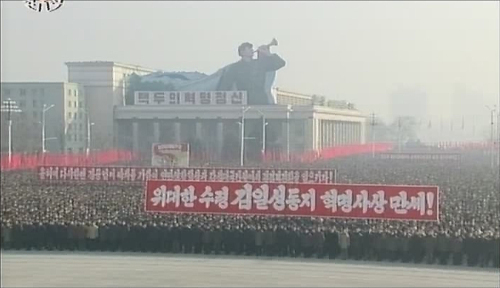 A two-week-long schedule includes even more lectures on Juche and Korean language. Tad Ferrell, who runs the North Korean online news outlet nknews.org, commented that many people would see the package as a rare opportunity to see the normally inaccessible nation rather than a chance to study the Juche ideology seriously. Greg Scarlatoiu of the Korea Economic Institute in the United States explained Juche is a combination of communism and extreme nationalism which aims to isolate its people and maintain the regime. He said the Juche Study Tours were a commercially motivated enterprise aiming to earn money by stimulating foreign curiosity in the world’s most isolated country. “The Juche idea is not worth studying academically and ideologically by traveling such a long distance. Any visitor to North Korea will recognize what the Juche idea means by looking at its harsh reality,” Kim Kwang-jin, a high-ranking defector from the North Korean regime who is now a visiting fellow at the U.S. Committee for Human Rights in North Korea, said in the interview with RFA. 北주체사상 관광상품 출시‥돈주고 배우러 갈까? 중국의 한 여행사가 북한 당국의 제의를 받아 `주체사상 연수여행'(Juche Study Tour) 상품을 출시했다고 미국 자유아시아방송(RFA )이 26일 전했다. 이 상품을 판매하는 '영 파이오니어 투어스'(Young Pioneer Tours)의 가레스 존슨 대표는 RFA에 "1∼2주간 북한을 관광하면서 노동당 전문가한테 주체사상 강의를 듣는 상품에 대해 북한의 조선국제관광회사(KITC)와 협의했다"면서 "2월 말 출발하는 일정에 각각 뉴질랜드와 스위스 국적인 학생 2명이 등록했다"고 밝혔다. 이 여행사 홈페이지에 따르면 4차례의 주체사상 강의가 포함된 6박7일 상품은 1 천295유로, 여기에 한국어 강의 프로그램이 더해진 13박14일 상품은 2천310유로다. 미국에서 북한 관련 인터넷매체(nknews.org)를 운영하는 테드 파렐씨는 "조선우호협회(Korea Friendship Association) 회원 같은 친북 성향 유럽인들이 주체사상 연수에 관심을 가질 수 있다"면서 "하지만 많은 사람들은 주체사상을 진지하게 배우려 하기보다 희소성 높은 관광기념품 정도로 생각할 것"이라고 말했다. 루마니아의 공산주의를 경험한 미국 한미경제연구소의 그레그 스칼라투 연구원은 "주민을 고립시키고 노예로 만들어 독재정권을 유지하는 것이 유일한 목표인, 극 단적 민족주의와 공산주의가 혼합된 통치도구가 바로 주체사상"이라면서 "세계에서 가장 고립된 나라(북한)에 대한 서구 젊은이들의 호기심을 자극해 외화벌이를 하겠다는 장삿속"이라고 지적했다. 북한 당국의 간부 출신인 미국 북한인권위원회의 김광진 연구원은 "주체사상에 는 먼 길을 가서 배울 만한 학문적, 사상적 가치가 없다"면서 "북한을 찾는 관광객 들은 그곳의 현실만 봐도 주체사상의 실체를 알 수 있을 것"이라고 말했다.